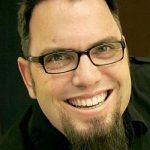 Career Capsule: I got my start in Christian radio in 1996 at KYIX in Paradise, CA. I did not dream of being on the radio as a child like many of my friends, but God had this path planned for me. I’ve been blessed to work for some amazing organizations like CSN, HBN, WAY-FM, ReachFM, and now Moody Radio. It has been a wild ride living all over the country, but I couldn’t imagine doing anything else. Matt tell us what’s new at WMBI… news, changes, & with YOU… etc? God has truly been faithful to WMBI. 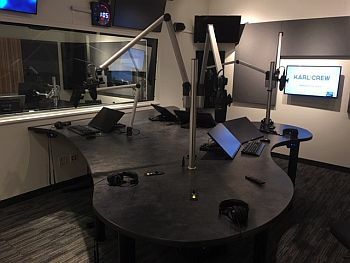 Moody Radio recently dedicated the brand new home of both Moody Radio and Moody Publishing, The Chapman Center. The majority of the building is complete and we have plans to broadcast from our new studios starting mid to late January. WMBI is owned by the Moody Bible Institute, which is the world’s leading producer of original Christian content. 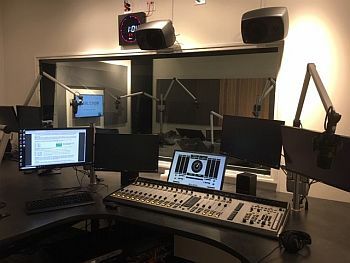 Moody Radio network produces dozens of radio shows and short features that are offered and carried by radio stations all over the globe as well as. The mission of Moody Radio is to help listeners take the next step in the journey with Jesus Christ, and Moody Radio is providing content to help make this happen. A long time ago, my first Station Manager, Randy Zachary said “If you don’t have anything to say, STOP TALKING!”. I think have said this more in my career than anything else. There is a lot of bad advice, none really worth mentioning. I think the answer depends on what your ultimate goal is. If your goal is to have the most listeners and make the most money, then NO. Why would you want the competition? However if you have a desire to provide Jesus to your community, then YES. Now, this is easier said than done. Recently KLOVE purchased a new AMAZING signal in the heart of Chicago, replacing a legacy classic rock station (The Loop). My first thought was “No! The one thing we had on them was a better signal”, but God lovingly changed my heart on this. Moody and KLOVE are very different from each other and KLOVE will reach people that we may never have a chance to reach. Not only that, but imagine the number of Loop listeners that will stumble upon KLOVE and ultimately Jesus. I realize that this sounds like a promotion for KLOVE, but this could be any Christ focused radio station. I had a chance to listen when The Loop switched to KLOVE and I want to walk you through what I heard. So, I say the more the merrier. You never know who God will use. My team! I work with an amazing group of people that are excellent at their craft and are used daily as a speakpipe for the Gospel. Anywhere… There are very talented people in every walk of life. The best talent we have on WMBI didn’t come with years and years of radio experience. However, they are incredible communicators and may very well be the best talent I’ve worked with in my career. Don’t be afraid to take chances with talent that you see potential in. This answer never seems to change for me… Technology. Everything is at your fingertips now. The choices you have of things to listen to or watch are endless and you can get them anywhere. I have unlimited data and Bluetooth, which mean I can be entertained however I want, whenever I want. As Christian radio broadcasters, we need to provide our listeners these things. Technology is an obstacle, but obstacles can be conquered. We just have to be willing to invest in it and do the hard work. I have looked up to some of the best and well known in our industry. People like Wally, Frank Reed, and Brant Hansen and others for their ability to reach people right where they are. I have also gotten excited about the up and comers… I love John Hudson at KLTY (although he’s been in the game for awhile, he has finally gotten a chance to shine), Laurie Austin at KCBI (fun, energetic and real), and my team here at WMBI; Karl and Crew (Karl Clauson, Ally Domercant, Diana Berryman, Hannah Lynn, and Jonathan Renke). Karl and his team are gifted to share the Gospel on air better that I think I’ve ever heard it done. These people are making a HUGE impact in listeners lives every day.